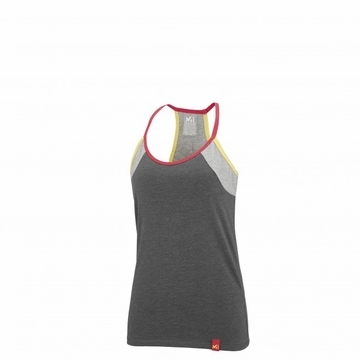 This women climbing top is an upfront statement of femininity and vertical commitment. Very light and pleasant to wear, it closely hugs the female form. For high summer, the SMART BLEND fabric team s organic COTTON softness and coolness with recycled polyester's ability to wick moisture and dry quickly, for unfailing eco-impact comfort. 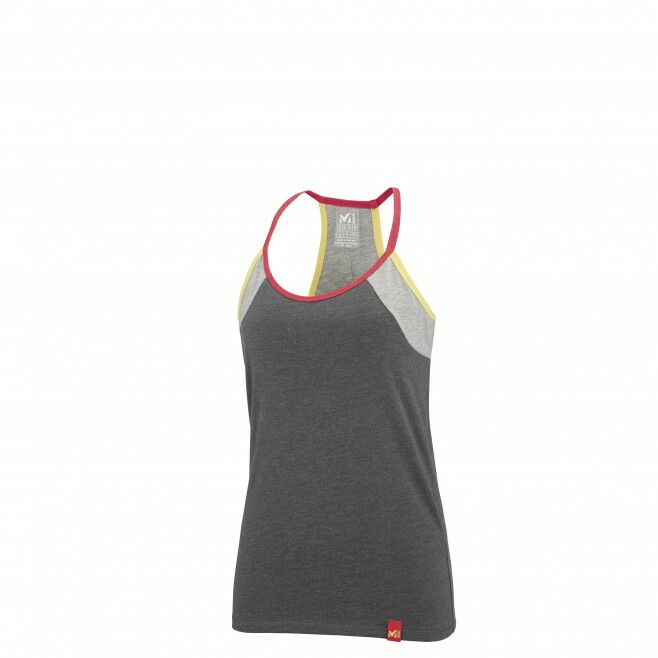 With the LD EL CAP TANK, women climbers can relish the reliability of a ventilated racer back and a built-in bra on an elastic mount for reassuring bust support and total freedom of movement in action. The detailing is soigne, and the athletic fit keeps its shape wash after wash.